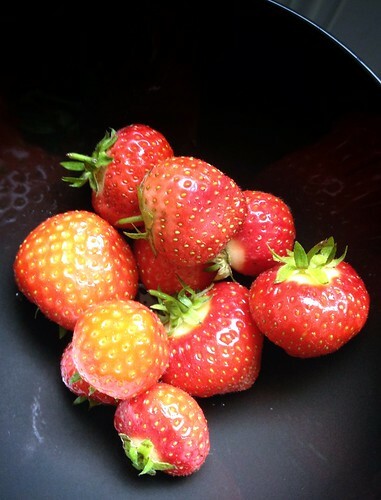 Day 221 of Project 365: Strawberries, a photo by cygnoir on Flickr. Strawberries remind me of two things from childhood: gobbling wild strawberries straight from the plant, and devouring my mother’s homemade strawberry shortcake. I was about to write how the strawberry isn’t my favourite fruit, but I think it is now. When did that happen? Sneaky devil!